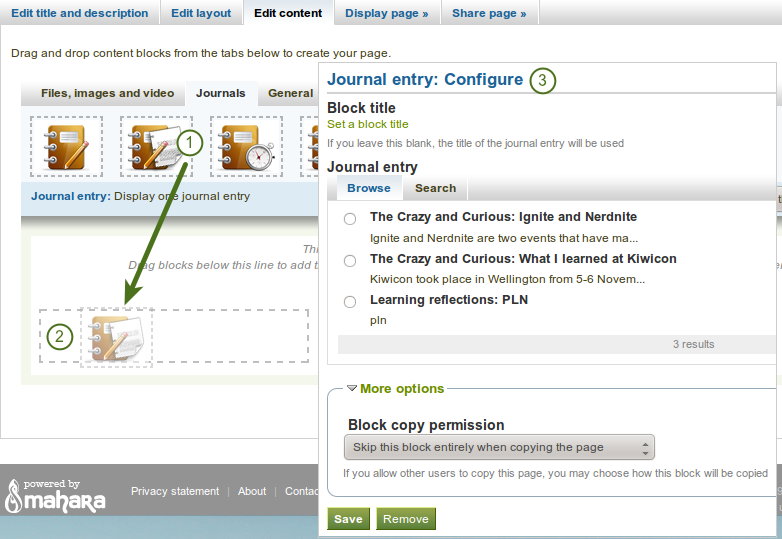 Edit content: Place your content on a page. 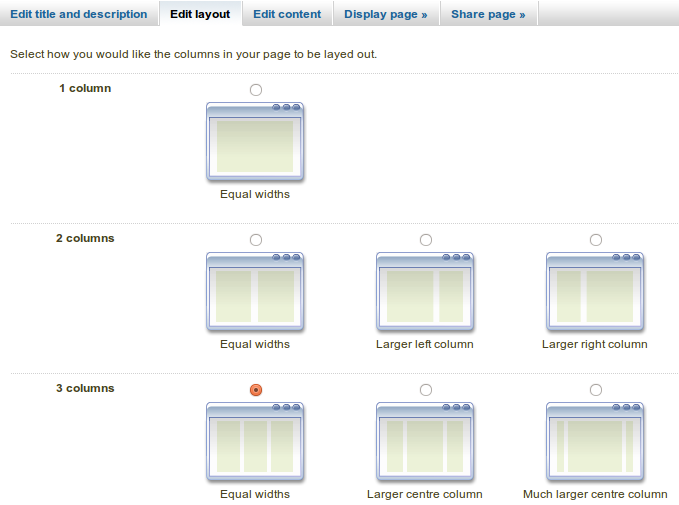 See artefact chooser, individual artefact blocks and page layout area. 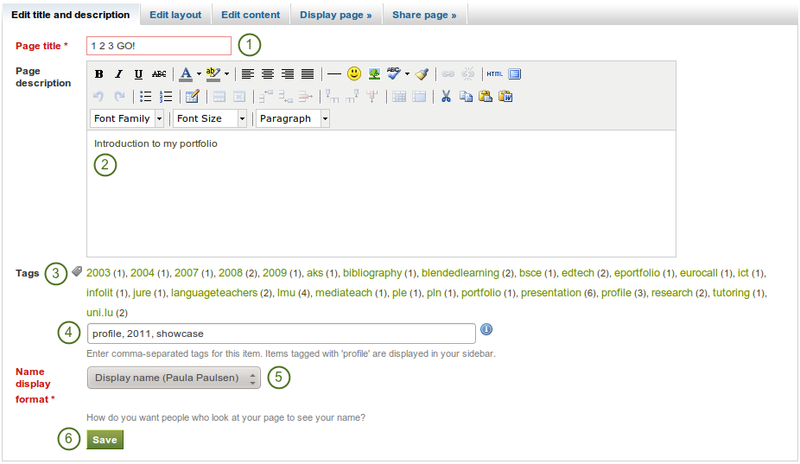 If you either do not yet have tags or want to use new ones, you can write them into the text box. Separate multiple tags by commas (and a space). Tags that you have chosen from your existing list of tags are listed in this text box as well when you have clicked on them.